If sales over on iTunes are any indication of the way the public vote has headed for tonight’s grand final of Channel 9’s smash ‘The Voice’, then songstress Karise Eden has it in the bag. The singer’s version of ‘Stay With Me Baby’ has been sitting at No.1 on the iTunes chart since the show aired last night and for most of the past 24 hours, she’s occupied the entire top three with her tracks. Such is the appeal of ‘The Voice’, the first nine positions on iTunes are taken up by contestants’ songs, with only Flo Rida’s ‘Whistle’ hanging on in position #10 to give us some semblance of normality. 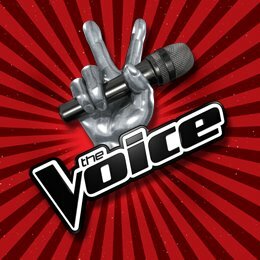 14 out of the top 20 placings are by ‘The Voice’ contestants. But iTunes sales, of course, only count for part of the voting process, with Facebook and SMS voting processes also now closed. All that remains is to find out who’ll walk away with the Universal Music recording contract at the end of tonight’s show. Check below in our feed for details of the winner’s public appearances over the coming weeks. ‘The Voice’ grand final airs tonight on Channel 9 from 7:30pm AEST. I’d recommend artists don’t release during The Voice next year. Too hard going up again people who are voting, often for tracks they probably wouldn’t normally buy, just to prop up their favourite.